Left over chicken recipe | Let's Eat! 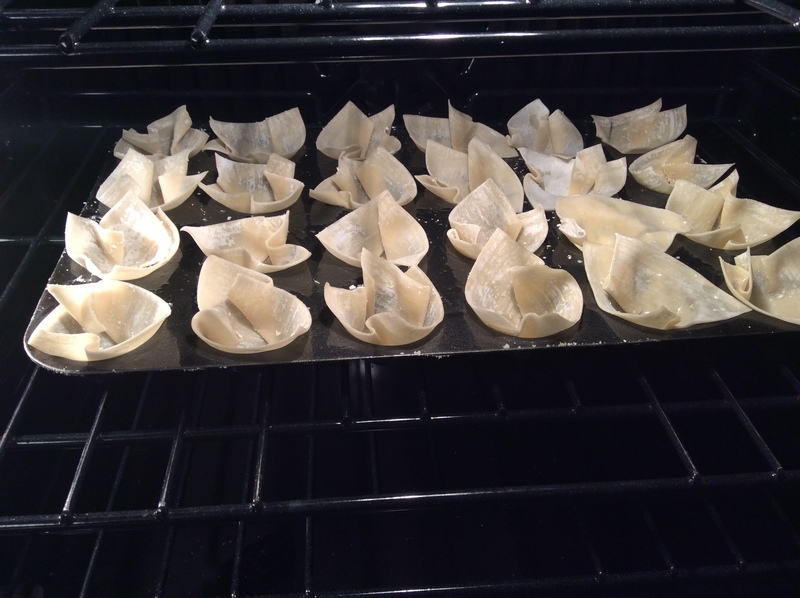 I love all kinds of wonton recipes including fried, steamed and now baked! I got this recipe from A Taste of Home. This is a slightly modified version of the original, as I used a hot chili mixture to spice it up a bit! 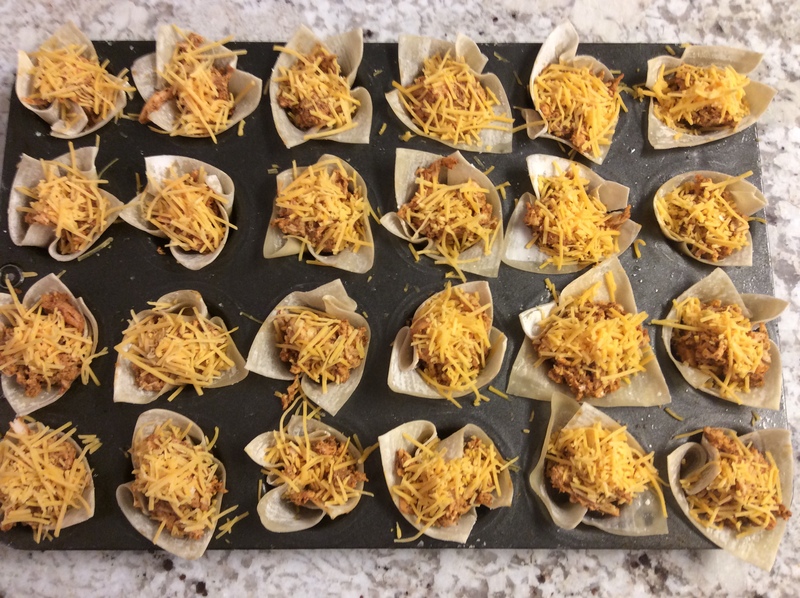 Press wonton wrappers into greased miniature muffin cups. Bake 4-6 minutes or until lightly browned. In a small bowl, mix salad dressing and seasoning mix; add chicken and toss to coat. Spoon 1 tablespoon filling into each wonton cup. Sprinkle with cheese. Bake 8-10 minutes longer or until heated through and wrappers are golden brown. Serve warm. 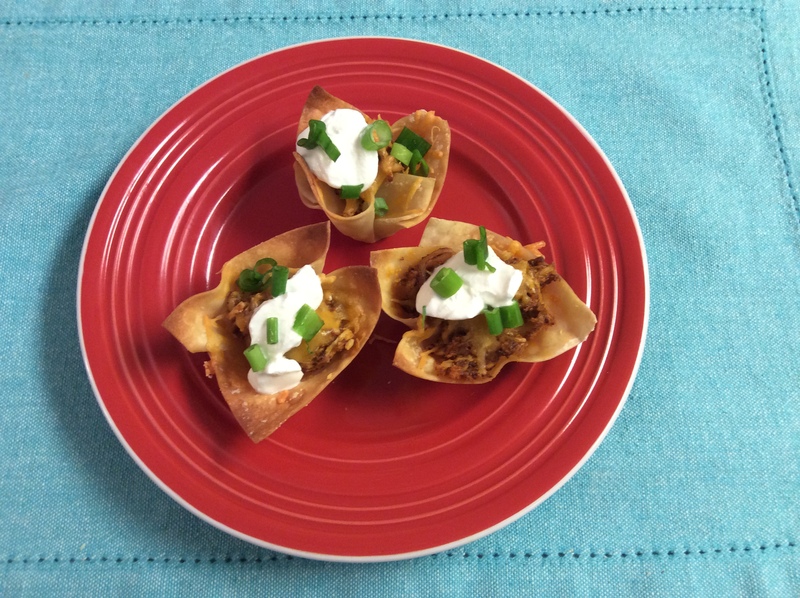 If desired, top with sour cream and green onions before serving. On my second batch I added a little Sriracha to spice it up even further! Check Out the Potstickers I posted awhile ago! They are excellent! And these Crab Rangoons are amazing!